Written in 1969; franchisor opportunism has become worse. This book is designed to inform the public and the legal profession of the egregious imbalance that exists in the franchise relationship and to suggest various forms of redress by means of litigation and legislation. By discussing (and printing) the contents of the usually secret franchising contract in complete detail, the author makes the reader thoroughly familiar with such inimical and routine restrictions as the covenant not to compete, the informer clause, supplier kickbacks, the “bad boy” clause, the “yellow dog” clause, arbitrary termination, the suspension clause, and many other forms of contractual coercion, both stated and implied. 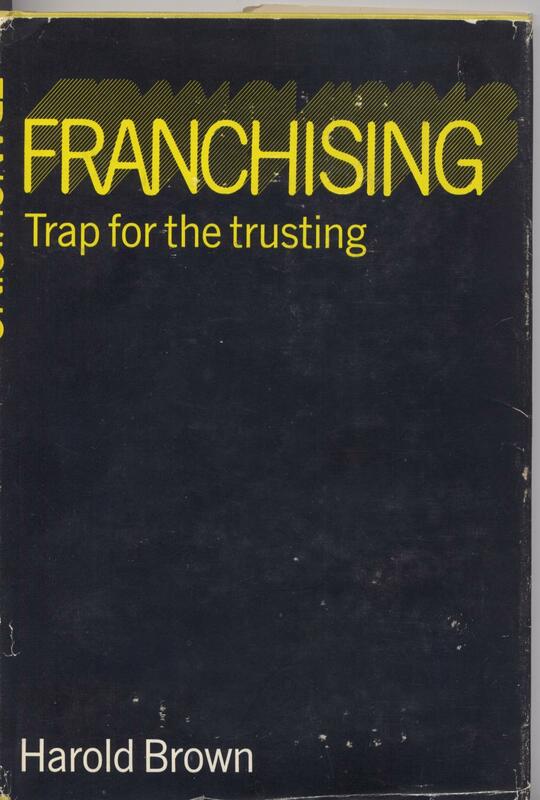 Until definitive franchising legislation is passed, FRANCHISING: TRAP FOR THE TRUSTING can show the reader how to avoid the pitfalls of the standard franchising agreements or provide his attorney with a blueprint for seeking relief through existing statutes and case law. Arguments and citations from the franchise related fields of fraud, equity, securities regulation, Anti-trust, and labor relations are included. Still Unsafe at any Brand. This entry was posted on Friday, April 8th, 2011 at 5:00 am and is filed under Opportunism, Unsafe at any Brand. You can follow any responses to this entry through the RSS 2.0 feed. You can leave a response, or trackback from your own site.